It is well, is an LA based brand composed of simple and versatile basics for an everyday coastal loungewear look. Easy silhouettes and quality fabrics are the core of It Is Well. Giving back to less fortunate communities is important to the brand. 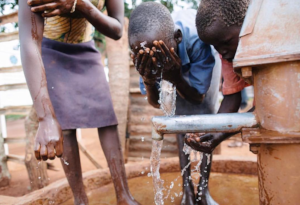 That is why a percentage of the profits are donated to help build water wells to provide clean drinking water in order to build healthy, and functioning communities around the world. Each piece is conceptualized, designed, manufactured and hand dyed in LA, ensuring a quality, and ethically made product!